It's great, a system with no maintenance. 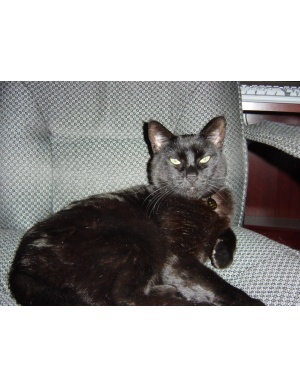 We've had lifesource for about 5 years. It's so wonderful having healthy water at every faucet in our home. 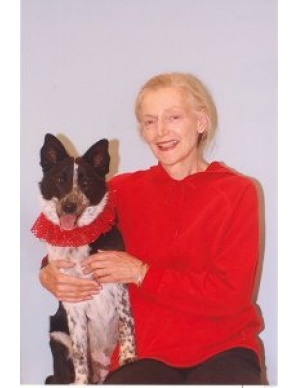 Our lifesource contact, Terry is very nice too. Can't think of any way it could be better and everyone was great! My dog Bella loves this water! I wanted the best water money could buy. 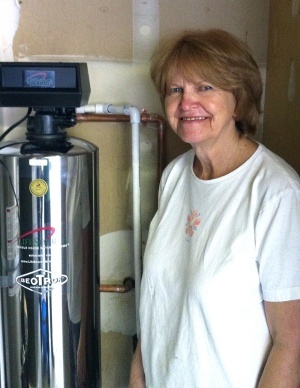 We are so glad we got our Lifesource water system for our home. We will save a bundle not buying bottled water and love drinking out of the tap. 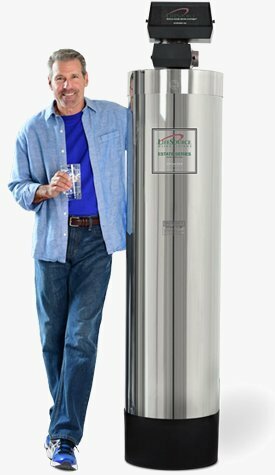 The unit is compact and attractive as well as environmentally friendly, and the water tastes great. We have already recommended it to several friends. Bella our dog loves it! 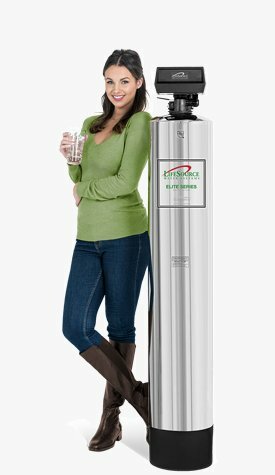 I love my LifeSource water system. It's great being able to rely on my water. Plus it's so easy to maintain. 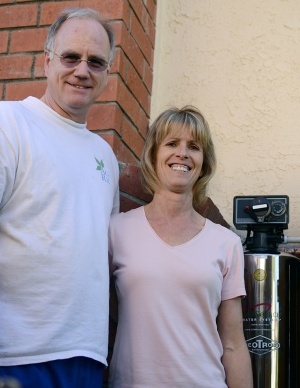 We bought our first Lifesource system in 2002 and we loved it. My brother-in-law Nick got one too and still has it. We just moved back to S.Cal from Chicago and there is way more chlorine in water here, and it's harder. 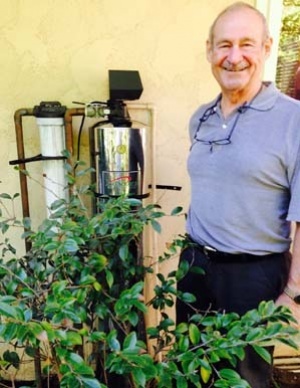 So one of the first home improvement on items on my list was a new Lifesource water system. Before we got our system we never would have even considered drinking the tap water ourselves much less letting our children drink the water here in San Diego, it tastes horrible. We didn't even cook with water from the tap! My family definitely appreciates the convenience of being able to get water from every faucet in our home and I no longer have to worry about buying bottled water which was really starting to add up. I was very happy for the service that i got. Thank you for the water system that i love. Thank you so very much. My wife and kids love it! Thanks! 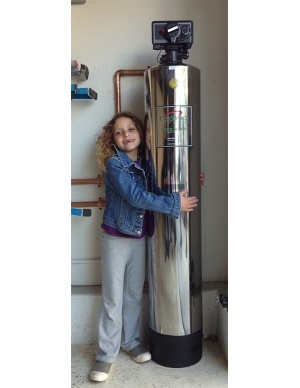 I have very hard water and I had a competing water system installed. It didn't work, so I had it removed. 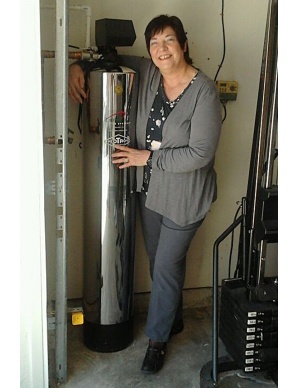 Luckily, a friend had a LifeSource system and referred them to me. Now I have delicious, healthy water in my home. Their representative suggested Cascade Complete Action Paks for my dishwasher, to stop some minor mineral spots, and that problem was easily solved. 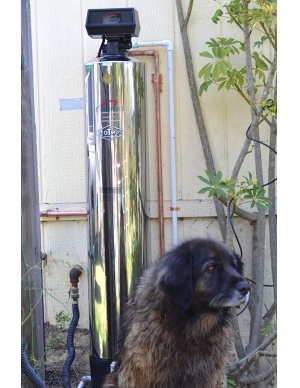 Everyone in my home loves LifeSource water, including my dog. I now refer LifeSource to all of my friends. My contractor told me this is the best system on the market. 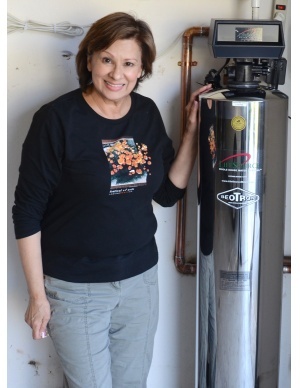 We are undergoing a kitchen makeover and this was the perfect timing to install a lifesource system. We had a 16 year old softner and wanted it gone, sick of buying salt. We have a new dishwasher and expensive german appliances, a steam washing machine and drier and did not want the salt softener ruining the appliances like they had done in the past. 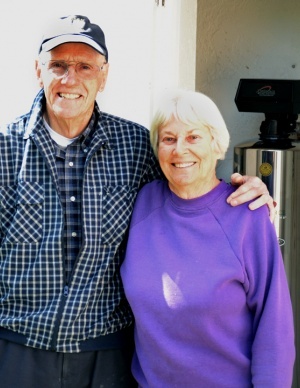 We were referred to LifeSource and we love our no salt, no maintenance system. I was sick of running to the water store for water and buying expensive bottled water. 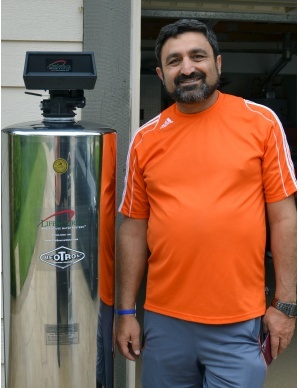 I bought the lifesource system for health reasons. I have a 99 year old mother living in the house and wanted her to have the best water available for her. This LifeSource is simple, and No Salt! Our neighbor Harold, recommended you to us. 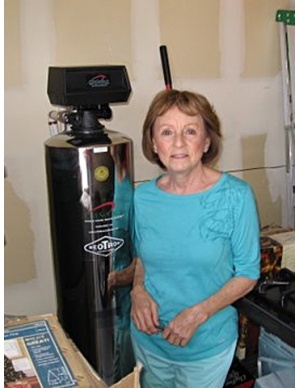 We've had a water softener for many years and the one we had just lasted for 3 years and it died. I was never happy with it. I don't like salt, the taste the feel. But we live in Ventura and the water is so bloody hard. 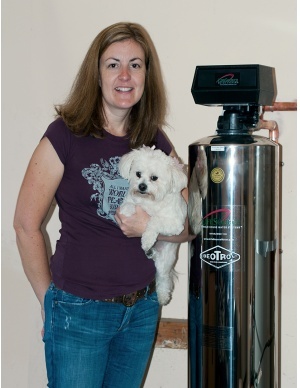 I installed a LifeSource because I care about the protecting our environment. 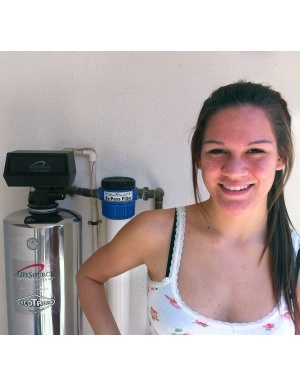 I removed my old water softener because I didn't like the salt it added to my water. I also didn't like having to add potassium chloride salts to my softener every month. 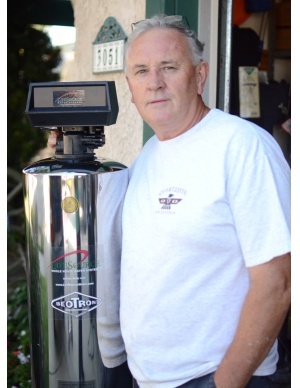 I'm happy with lifesource, it takes the chlorine out that the city puts in the tap water. 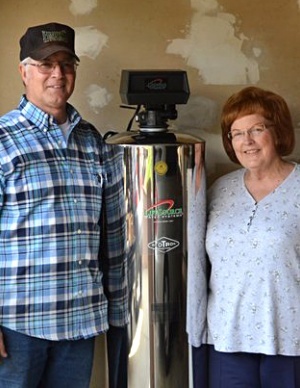 Curtis Hill and Joe installed our system yesterday, and being the difficult customer I am, I wanted to take the time to relay what a wonderful job he and Joe did in handling us and being professional all the way through. A credit to your company. One more reason why we chose to go with Life Source. Please make sure this gets placed in his and Joes file. They are a credit to your company. 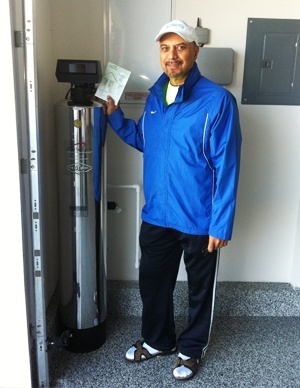 The filter system eliminated many of our complaints with hard city water but some white residue remained on our dishes and mirrors. Sales rep recommended some finishing detergent and that resolved the last of our problems. 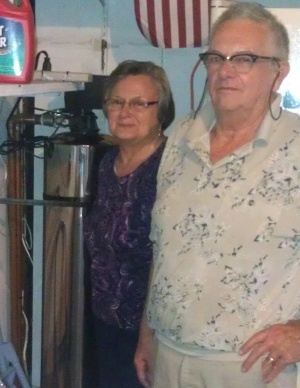 The family and I appreciate the new LifeSource Water system. 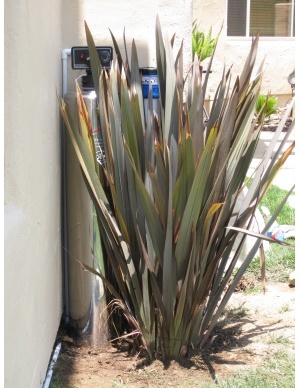 Each one family of my members expresses their benefit(s) in how they have changed their water use habits. My daughter Liz and her teen age son discarded water bottles. More and longer showers taken. 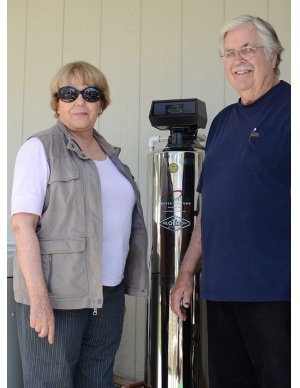 The family makes good use of the LifeSource system. One month ago we would talk about the change; now the better taste, shiny hair, and increased use of LifeSource water is an expected addition to a better standard of living. For myself, I am grateful for the user benefits. Even more grateful than my family; the trouble free operation and my family's credit for making the change are rewards I did not expect. My thanks to LifeSource and my LifeSource representative, Johnathan Kaye. We like our water now, it has a good taste. We had quite a lot of chlorine in our water before. I’m just glad the water coming out of our tap is clean and safe. My husband likes it too. Terry did a great job for us! We had Terry from lifesource come out to the house. We were not sure our system was working properly. He made a quick adjustment and it works great! I love the taste and the fact that my dishes come out better and I can use less detergent. thanks Terry. It is nice to have clean water in every faucet in my house. Good to have only one piece of equipment that does all that and does not use salt. My doctor had been telling me to be more careful with my blood pressure. 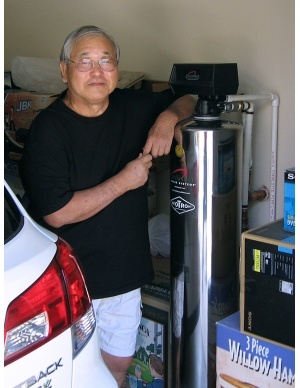 We were on our 3rd water softener since moving here. I was getting real tired of the salt, the problems with our dishwasher and worried about my blood pressure. I just wanted to be done with that water softener. I’m real happy with the no salt lifesource system. 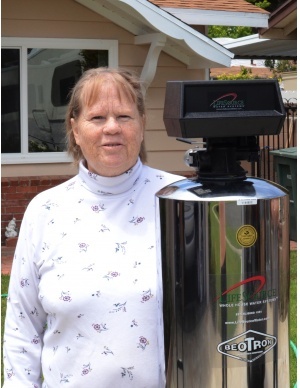 My neighbors, the Bjorlings, bought one the same day we did, they were tired of salt too! 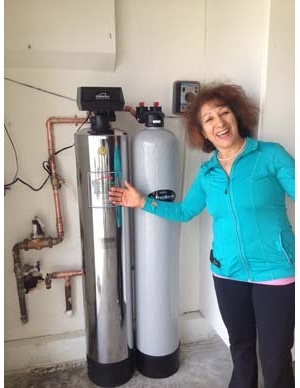 I'm very into holistic health and the benefits of filtering the chlorine and other contaminants out the water. 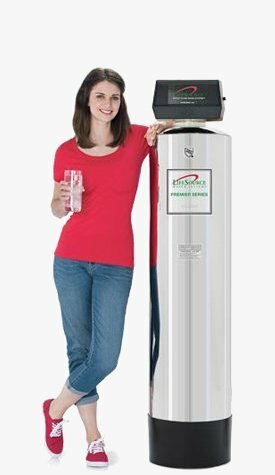 We also really didn't want a salt system because of all of the salt and the reverse osmosis water that is damaging to health. We purchased a walk in tub with jets that create a nice massage. When we used it you could smell the chlorine from the water yuk!! 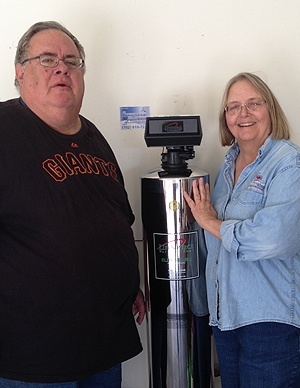 With LifeSource water the smell is gone,wow,and it is so refeshing to have chlorine free water now. Thank you LifeSource for the wonderful water and chlorine free water too. My cat loves the water too. We and our friends love the taste of our tap water. We love our water now. 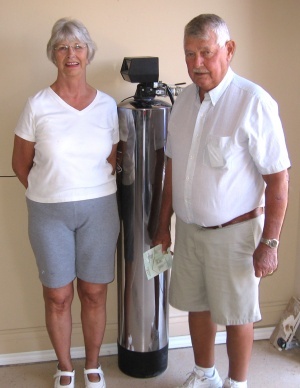 Our friends have come over and tasted our lifesource water, they love the taste too! We moved recently so this is our second lifesource system. We love our system. 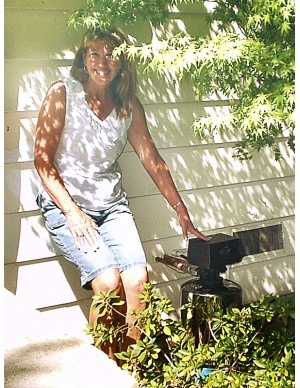 We had a Culligan water system before. It had broken down again, when we called lifesource. 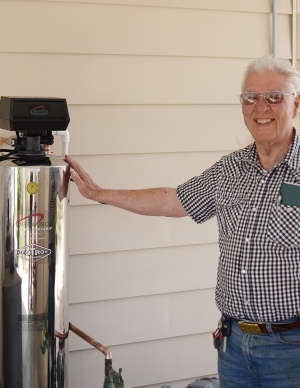 When we heard that they would be able to drink from any faucet with the added bonus of taking clean showers we were excited about our new system. 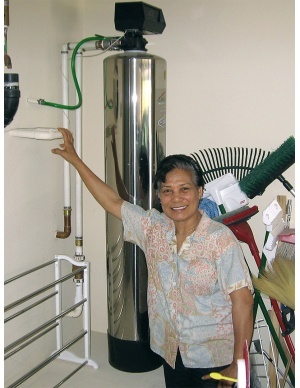 Since having our system installed our skin is softer and we enjoy drinking and cooking straight from the faucet. 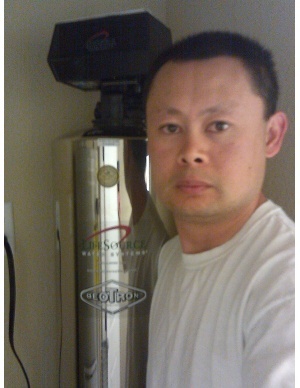 Hi Jonathan, First off, wanted you to know how much we like the LifeSource unit we purchased. The water is fantastic. So much better tasting than the reverse osmosis unit we had. No more chlorine smell or taste. The dishwasher now gets my dishes and glassware sparkling clean. 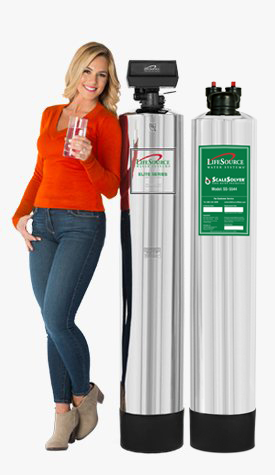 Wish we had heard of LikeSource Water years ago.